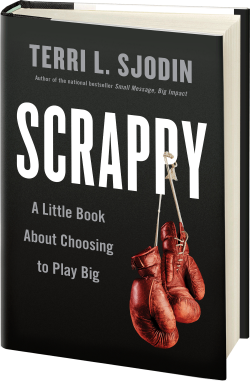 Tomorrow, Wednesday, August 24th is the big book release event at Barnes & Noble and the formal launch of Scrappy: A Little Book About Choosing to Play Big (Penguin Portfolio) into the world. I am super excited and hope you can join us. Click here to access the flyer for details. On the eve of this event, I would like to take a moment to thank everyone who has been involved with this project from the beginning. I am sincerely grateful for the support so many of you have shared with me on this journey. You are awesome and I am sending you big hugs from afar. I hope you will indulge me as this will be a lengthy blog of gratitude message. The dedication page in Scrappy is a bit of a departure from traditional books. I decided to do something different and fortunately my amazing editor, Bria Sandford at Penguin Random House accepted my request. I dedicated the book to all my scrappy girlfriends with an image design. See picture below. 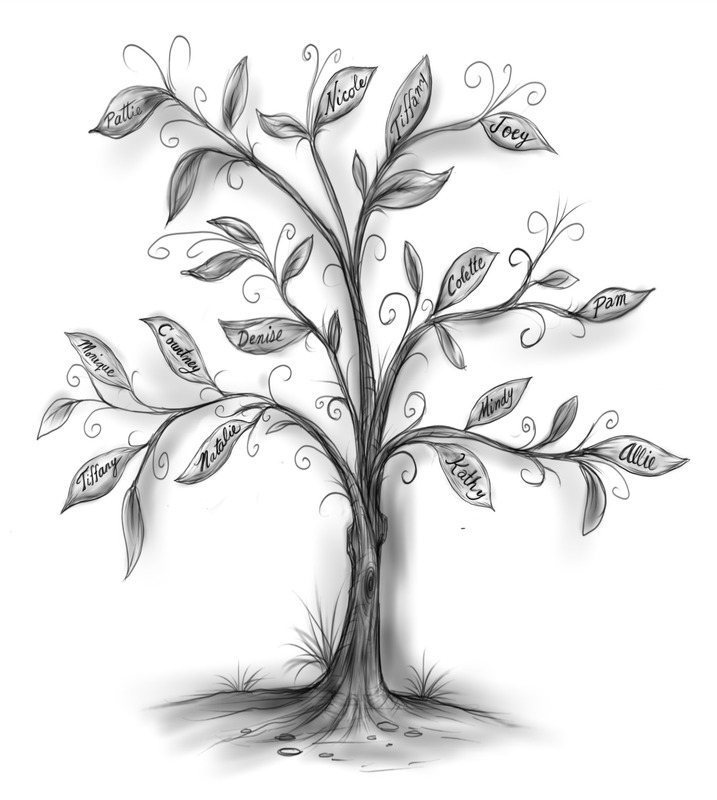 I love how it came out and a big thank you to artist Mitt Seely for doing such a beautiful job illustrating my vision. I’m also including here the entire acknowledgement section from the inside of the book as I want to give a public shout out to everyone who has helped me develop this little book from the beginning, including all of the individuals who were willing to share their stories with me, which are the heart and soul of the book. The cool part about the acknowledgments page is that it’s the author’s chance to formally thank the people who have supported the writing of her book. This segment of the book is important to me because this work is the combined effort of people who have come together in many different ways. No one accomplishes a goal like writing, releasing and selling a book without the help of numerous people. With sincere gratitude, I would like to thank my team, family, friends, and colleagues who have helped bring this project into form. Thanks to the team at Penguin/Portfolio, specifically Adrian Zackheim, President and Publisher at Penguin Random House, and Bria Sandford, my Editor, for their creativity and insight in helping to take this work to another level. From the day we met, Margret McBride, my literary agent, has believed in me and my vision of this project. Big hugs to you Margret! And her right hand, Faye Atchison. My Administrative Marketing Assistant Katelyn Lucas has been an integral part of organizing, managing, and working with me to edit this content. In addition, she holds down the fort at the office, so I am able to move forward with my speaking engagements and consulting work on the road knowing everything is taken care of back home. Your loyalty and support over this last year have been a huge part of this book’s success. My personal Editor, Kari Barlow, has been incredibly helpful in bringing this book to life. She has worked with me over the years to take my speeches, lectures, and seminar writing style and convert it into this manuscript. I want to thank all of my mentors and coaches for their guidance and support. You were generous enough to share with me your pearls of wisdom to help me navigate the hills and valleys of my journey. A special thank you goes out to Harvey Mackay. Your guidance and suggestions, even when they were painful, have been invaluable to me. My critical review team took the time to read the early drafts and provide wonderful feedback and editing suggestions, including Jerry Anderson, Beck Bamberger, Tom Bardenett, Erin Casey, Jim Corboy, Trae Sterling and Chris Widener. Each of you has helped me make this book a valuable tool for readers. I would also like to express my deep appreciation to the many corporations, associations, and individuals who have included my programs in their training and development agendas. A big thank you to my dear friend (and next door neighbor when we were teenagers) Mitt Seely for his artwork and creative illustrations in this book. It was a treat to work with my friends on the back cover photo shoot for this project. Big hugs to my stylist/photography team: Allie Marion (photographer), Natalie Kinsman (hair), Courtney Noelle (stylist). A very special thank you to Mark Fortier with Fortier Public Relations for his commitment to this project before, during, and after the launch. A very special thank you goes out to my colleagues and friends at The MacKay Roundtable, National Speakers Association, and Gen Next. My parents, Jan and Pete Sjodin, my sister Kim, and my extended family members were all part of the manuscript review team or helped promote the book at one time or another. I love you guys. My dearest friends, old and new, are all such a wonderful gift. On this particular project, I want to give a shout-out to a few guys in my crew as well (as I already acknowledged all the girls in the tree on the dedication page): Ken Deane, Nick Taylor, Rich Thau, and Brad McMillen for their time and consistent willingness to let me share the bits and pieces along the way and for their opinions and contributions. November 15, 2015, marked Sjodin Communications’ twenty-fifth anniversary! I am blown away at how quickly the years have passed. I am honored and humbled to have built this little company and make a living doing what I love to do. Thank you all for being part of my journey. Thank you again! If you have any questions or want additional information about Scrappy, please visit www.scrappy-thebook.com.